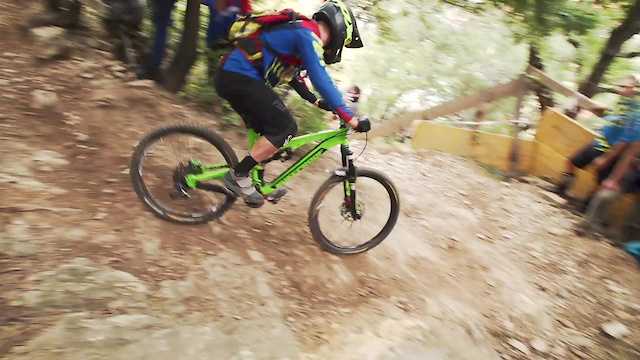 From the Southern Hemisphere to the shores of Northern Italy, the Enduro World Series has tested riders on many varied terrains and it all comes down to this. As the action unfolds, Richard Cunynghame follows proceedings to see who can take it all the way to the end of the season. well it wasent exactly war and peace was it? I'm not a massive fan of slo-mo at the best of times but especially not when it's a shot of the contents of someone's lycra shorts jiggling about.No need! Farewell to Fabien and Tracy.Two amazing racers. I love that opening shot of Jared Graves dropping over the rocks on Trestle DH, because I've ridden that same section about a thousand times. When will Curtis Keene be good again? you mean Kurt Kobain surely? was this shot on an iphone 4s?